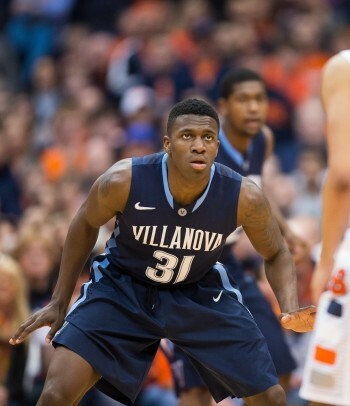 With so much focus on spring football, I thought I would touch on another significant development in Oregon athletics: the transfer of graduate student — and former Villanova starting point guard – Dylan Ennis to the Ducks. Dylan Ennis provides Oregon with a proven point guard for 2016. Ennis’ immediate impact is obvious. 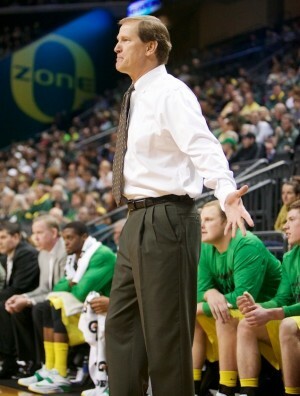 Oregon is unproven at point guard going into next season. The Ducks got by last year because they had a really good basketball player, Joseph Young, who had just enough skill to play the point. But Young is not really a point guard; he made the switch for the betterment of the team. The fact that Dana Altman and staff did not have enough confidence in Casey Benson or Ahmaad Rorie to keep Young at his natural off-guard spot is certainly telling heading into the 2016 season. Ennis was the starting point guard on a No. 1 seed in the 2015 NCAA Tournament. He is a clear upgrade over Benson or Rorie. While incoming four-star freshman Kendall Small is the Ducks point guard of the future, handing the keys to the Cadillac to an eighteen-year old freshman who has never played Division I basketball is a risky proposition at best. Ennis will provide solid, if not excellent, point guard play for the Ducks, while allowing Small to adjust and grow into his future role over the course of his inaugural college season. 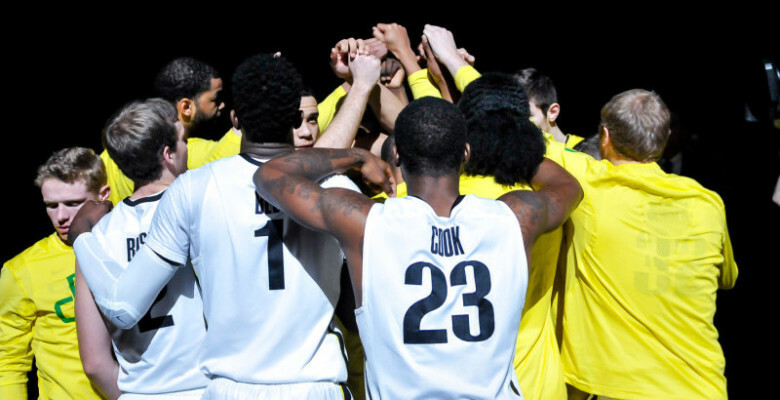 With Ennis in the fold, Oregon basketball looks plenty exciting heading to 2016. A starting lineup of Ennis, Tyler Dorsey, Dillon Brooks, Elgin Cook, and Jordan Bell is not without question marks — will Dorsey be a reliable scorer as a freshman; will Bell go from a shot-blocker to a consistent defender and rebounder; can Brooks elevate his game — but it is certainly talented and worthy of preseason hype in the Pac-12. But while 2016 looks fun, the impact of Ennis’ commitment for the future of Oregon basketball, while admittedly speculative, is far more intriguing. Dana Altman is building an Ontario pipeline to Eugene. Dana Altman has now had six Canadian basketball players in a Duck uniform since taking over in Eugene. Ennis, Brooks, Richard Amardi, Jason Calliste, Devoe Joseph, and Olu Ashaolu were all key contributors for the Ducks. (Interestingly, all but Brooks were transfers.) More importantly, all six of these players are from the province of Ontario in eastern Canada. Ontario is the home province for Andrew Wiggins and Anthony Bennett, the last two No. 1 overall picks in the NBA Draft. Additionally, former McDonald’s All-Americans Cory Joseph and Tristan Thompson, now of the San Antonio Spurs and Cleveland Cavaliers, respectively, first honed their skills on Ontario’s (hopefully indoor) courts. And of course, Tyler Ennis (Dylan’s younger brother) played one season at Syracuse before being drafted 18th overall by the Phoenix Suns in 2014. The point is this: Ontario, which is slightly more populated than the states of Illinois and Pennsylvania, has become a hotbed for high school basketball talent. As Oregon continues to successfully recruit and obtain Ontario-born basketball players, it is only a matter of time before it reels in one of the big fish Ontario seems to produce every few recruiting cycles. Ennis’ transfer only reinforces this pipeline, as it puts yet another high-profile Ontario athlete in a green and yellow (or gray or black) uniform. 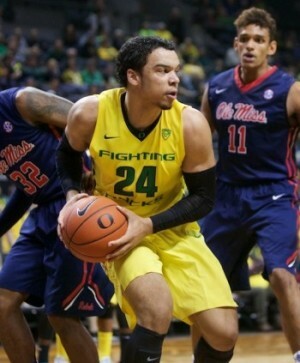 Dillon Brooks of Mississauga, Ontario, is a future star for the Ducks. A skeptic might counter that, given the wealth of options on the East Coast for a high-profile recruit coming out of Ontario, Oregon is at best a long shot to receive a signed letter of intent from such a prospect. But this overlooks an important aspect of recruiting when it comes to Canadian-born players; many of them — and almost all of the high-profile ones — have already left home to play high school basketball at prep schools in the United States. Bennett, Joseph, Thompson, and our own Dillon Brooks trekked all the way to Nevada to play at national power Findlay Prep. Wiggins and both Ennis brothers also played high school basketball in the U.S., albeit closer to home. Thus, the distance factor should — in theory — be mitigated when recruiting Canadian prep stars. But even if distance does factor in, it will have far less influence than the cumulative effect of Oregon’s facilities, the prospect of playing time, a stellar head coach, and a familiar Ontario-born face (or two) on the roster. So Duck fans, let us raise our collective feathers to Dylan Ennis, Oregon’s point guard of the immediate future, and hopefully the final ingredient to catalyze an Ontario-to-Eugene pipeline of blue-chip hardwood talent.